361 Degrees replaced a full school boiler room with a more energy-efficient system and modern controls. 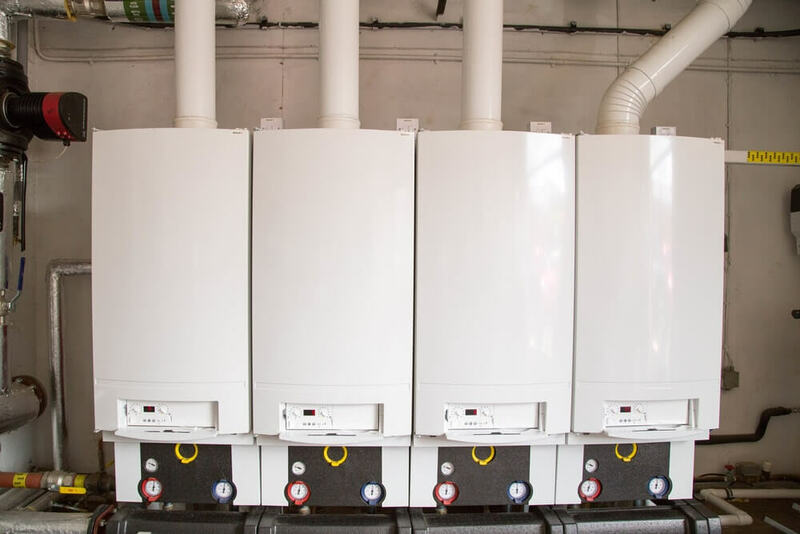 Having a consistent heating and water supply allows educational institutions such as Hadrian Academy in Dunstable to focus on the important things. The system that provided their heating and hot water system was inefficient, oil powered and overpowered for their requirements. They invited 361 Degrees to discuss their options and design a better system that would create the perfect environment for learning. Here is their story. The original heating and hot water installation consisted of two large Kayanson oil fired boilers and four hot water cylinders in various locations around the school. The boilers were operating at about 68% efficiency and ran on oil, which fluctuated considerably in price. The ageing hot water cylinders were lined with chalk and poorly insulated. We calculated that the volume of stored water was far in excess of what was required. The control system for the plant was very basic with no way of zoning hot water production separate from the heating. All these factors contributed to a very inefficient system. The whole boiler room was stripped out, the four hot water cylinders removed and work started on the installation of a new energy efficient heating system. 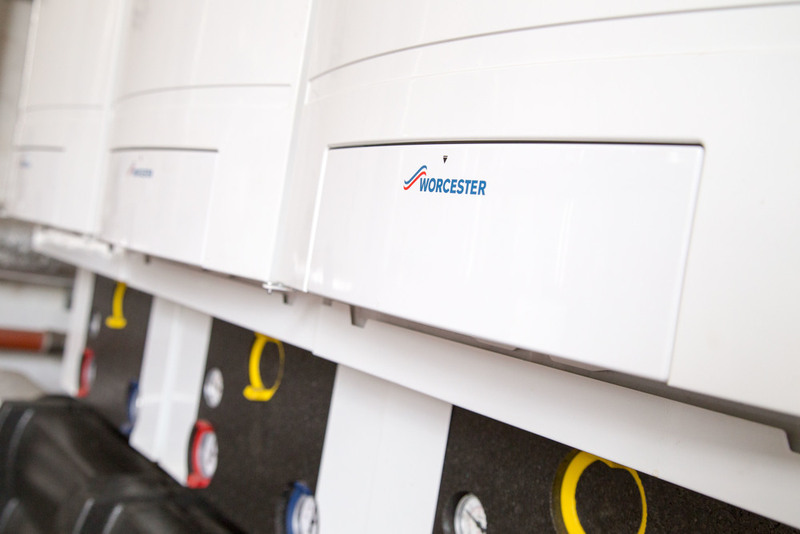 Our engineer replaced the system with four Worcester Bosch GB162, 100kW boilers. These boilers operate at up to 96.1% efficiency. We added boiler sequencing controls which identify the number of boilers firing and match the actual load requirements. Combined with the boiler burner modulation, the installation could match any load between 19.0kW and 400kW and thereby minimise wasted heat. 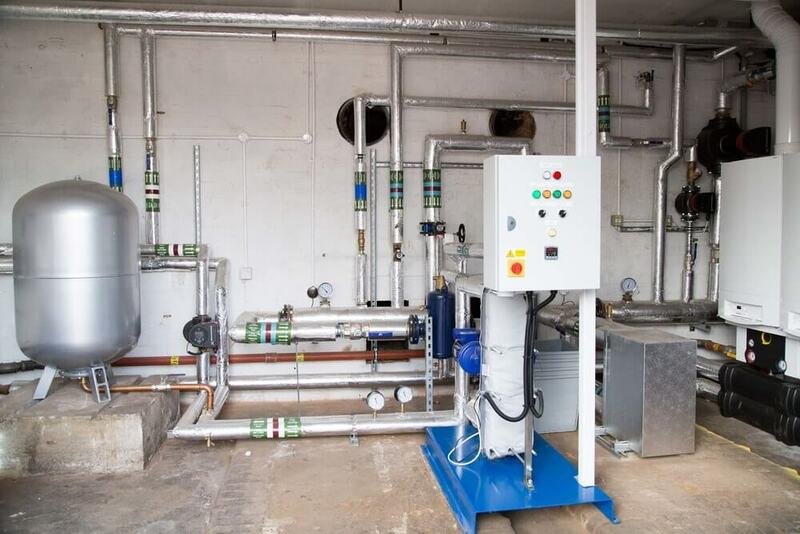 The hot water production is now achieved using a packaged plate heat exchanger unit which provides instantaneous hot water without any wasted storage. This unit is located in the plant room which is adjacent to the kitchen where the most of the hot water is used. New circuits were extended out to the position of the old cylinders to provide hot water to these locations. The school hall is often hired out to raise money for the school. Before the works, the whole system had to be turned on in order to heat the hall. During the refurbishment of the heating system, we installed a separate circuit in the hall and installed some highly efficient fan convector units at high level. The installation is now divided into three zones, main school heating, hall heating and hot water production. Controls were installed such that any one of the zones can run independently or in combination with the other zones. The pumps used in the installation were high efficiency inverter driven pumps and all new pipework was insulated to current standards. In installing this new system, the main decision drivers were energy efficiency and ease of use for the school. The case put forward was sufficiently convincing so the school was able to secure government funding for this project.